From January 24, 2016, Ukraine International Airlines will double the frequency of non-stop scheduled services connecting Lvov and Tel Aviv. 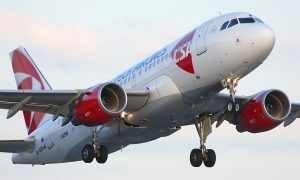 Non-stop scheduled flights between Lvov and Tel Aviv will be operated twice a week, on Wednesdays and Sundays. Flights PS783/784 will be operated with Boeing 737 aircraft, configured with two cabin classes: Business Class and Economy Class. “UIA launched non-stop scheduled flights from Lvov to Tel Aviv in May 2015″, noted Evgeniya Satska, UIA Corporate Press Secretary. “This route performed well as we managed to ensure both strong demand and high load factor. 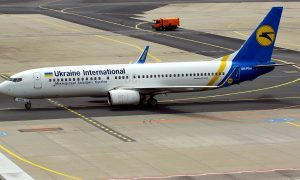 That is why UIA management decided to double the frequency of Lvov – Tel Aviv – Lvov non-stop scheduled flights. We hope this step will contribute to further development of business, cultural, and friendly contacts of Israel and Western Ukraine”.